When you’re in the process of applying for jobs, it soon becomes apparent that what you’re actually doing is selling yourself. This makes your job search much like a marketing campaign where you’re trying to sell a product to a potential customer base – the only difference being that the product is you and the customer is the employer. Once you’ve identified this, your approach to job hunting will change and you should start seeing more interest in your applications. 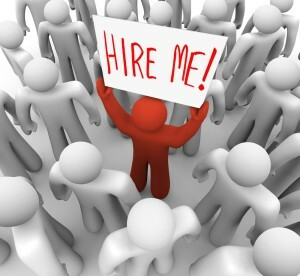 So, how do you approach a job search like a marketing campaign? Well, here are some top tips on really selling yourself to an employer. Each application you send will be different depending on the sort of company that you’re applying for, so it’s vital that you’re clear on the message you’re trying to send before you start an application. For example, if you’re applying for a job at an agency, you’ll want to highlight that you’re versatile and able to work on multiple projects, whereas if you’re going for a client-side position, you’ll be more likely to focus on your specific skills that would benefit that particular company. Also, be sure to tailor your message based on the company’s ethos and culture. For example, if they’re a quirky business and appear quite informal, don’t be afraid to be a bit off-the-wall with your application if it fits their brand. However, if you’re applying for a job at a more corporate organisation, then a traditional format is probably more appropriate. When you’re marketing a product, the first thing you do is identify its USP and use this as the key part of the campaign – and it’s not different when it comes to job searching. Think about what certain experience or skill you have sets you apart from other candidates and use this as the basis of any application you send out. Top Tip: Don’t take a one-size-fits-all approach to this point. While something may be the ideal USP for one job, it won’t necessarily do you any favours for a different role, so make sure you identify what makes you stand out based on each individual vacancy. Any marketing campaign always communicates the core values of the business in its message, and that’s something you should consider when putting together your job applications. While technical skills are important, so is your personality and the softer skills that you possess, so make sure you mention these on your CV or cover letter. If you can’t think of any personal traits, ask colleagues or friends to describe you, or look at popular soft skills for people in similar positions. For example, if you’re going for a sales role, you’d probably say that you’re results driven and good with numbers. Like any successful marketing campaign, it’s a good idea to keep on top of any activity and the reception it receives. Create a spreadsheet of all applications you send with the date sent, job advert link and status so you know where you’re up to. Also, make sure you ask for feedback from any unsuccessful applications so you can improve your job search in the future. So there we go, some advice on how you can make your job search more like a marketing campaign. Do you agree with these tips or have any of your own? Let me know in the comments below!